With Summer in full swing now have you thought of what essentials as an on the go family you will need for summer? I have been thinking about it this week a lot since we finally hit the first day of summer. Wahoo for summer! I want to let you in on a great product that needs to be your Essential for Summer. Kleenex Ultra Soft Go-anywhere Packs are perfect to have in the family car for summer park trips, swimming lessons and camping trips. The greatest part about this product is you can pick it up at your local Walmart today. The price is amazingly low at Walmart, so you can pick up multiple packs for each car, each purse or each beach bag. Trust me you will want this Kleenex Ultra Soft Go-anywhere Pack along for the summer fun this season! I love all the different styles of packaging the Kleenex Ultra Soft Go-anywhere Packs they have at Walmart. They are stylish and perfect for on the go moms and busy summer days. They have the perfect snap loop strap that makes it easy to strap to the back of a car seat, your favorite purse or on your backpack packed of other summer essentials. Once your Kleenex’s are gone you can refill these packs. They have a easy access snap top which makes it quick and easy to grab when you need a Kleenex right away. Kleenex Ultra Soft Go-anywhere Packs are great for sensitive skin and wont irritate your cute little kiddos nose. They are the softest tissue and I love using them on those cute little nose and my own as well. 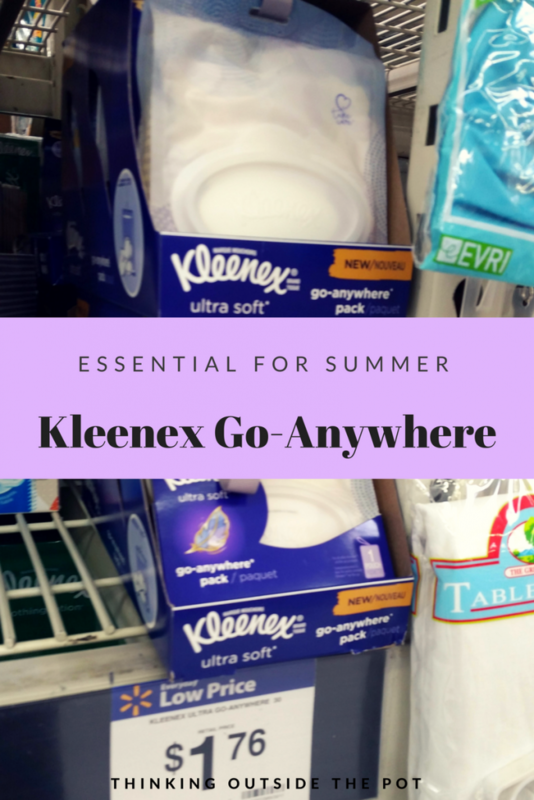 Have I convinced you that you need this Kleenex product on your list of Summer Essentials yet? I have one more perk that will get you in your car right now to buy them at your local product. 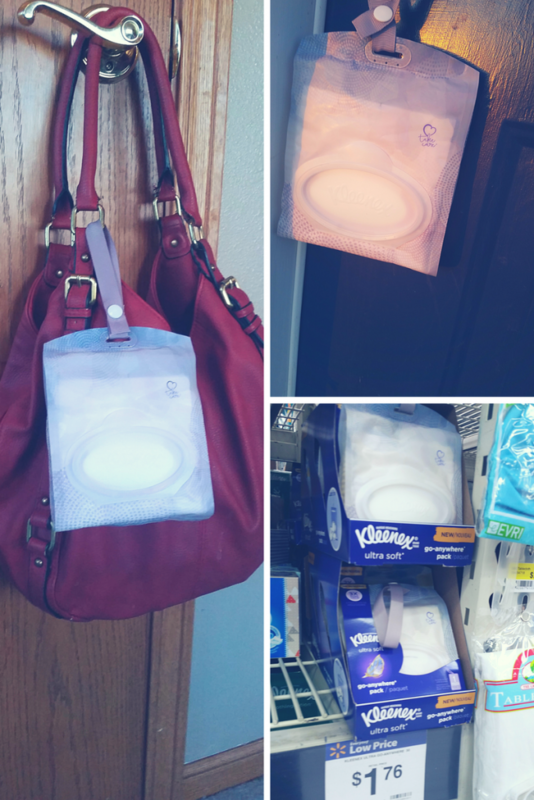 You can earn back $0.50 back for your Kleenex Go-Anywhere packs with this Ibotta offer at Walmart. Don’t miss out on this great product for your go anywhere Summer essential this summer season. It will become your favorite item in your on the go bag! Happy Summer!